Among the many high points of last weekend's American Society of International Law Midyear Meeting was the opportunity to welcome so many IntLawGrrls to my home institution, the University of Georgia School of Law in Athens. 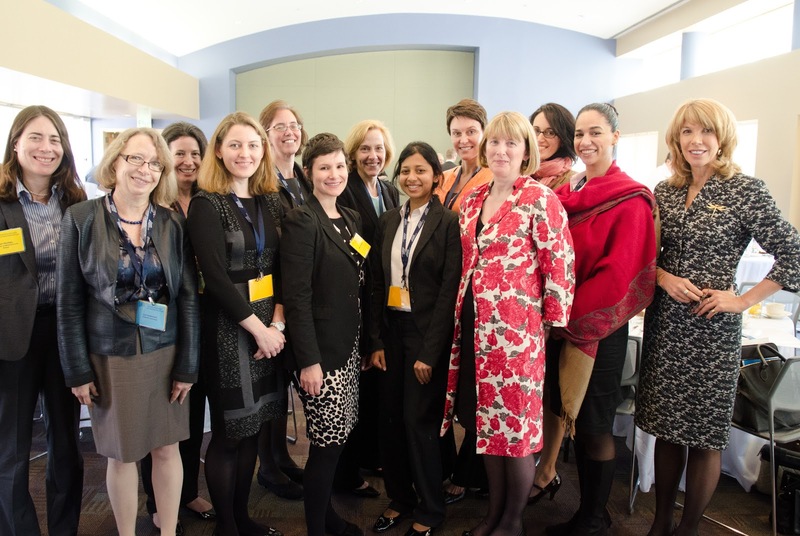 We posed for the photo above right after listening to the excellent luncheon keynote by the IntLawGrrls contributor pictured at far right – Patricia O'Brien, Under-Secretary-General for Legal Affairs and United Nations Legal Counsel. Pictured with her, from left: Hari M. Osofsky, Minnesota Law; Lori Fisler Damrosch, Columbia Law; Laura Dickinson, George Washington Law, who served as a co-chair of the meeting's superb Research Forum; Nienke Grossman, Baltimore Law; Elizabeth Andersen, American Society of International Law; Sadie Blanchard, Hague-based private international arbitration law clerk to Charles N. Brower; yours truly, Diane Marie Amann, Georgia Law; Neha Jain, who joined the law faculty at the University of Minnesota this year; Yvonne Dutton, who joined the law faculty at the University of Indiana-Indianapolis this year; Fionnuala Ní Aoláin, visiting this year at Harvard Law; Jenia Turner, SMU Dedman School of Law; and Noura Erakat, a Freedman Fellow at Temple University Beasley School of Law. (photo (c) Bob Brussack) For other IntLawGrrls memories, see the souvenirs slideshow at the bottom of our "about us" page.